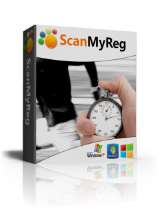 ScanMyReg 2.2 was available as a giveaway on January 2, 2017! How would you improve ScanMyReg 2.2? 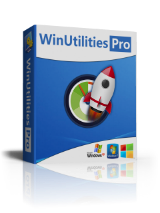 WinUtilities All In One System Optimization Suite. All-in-One system cleaning and optimization suite More than 20 award winning system utilities in one bundle! I will skip this ScanMy Reg giveaway. Not because it is bad. I have no idea whether it is good or bad because never tried it. I will stick with Wise Registry Cleaner, which has been safe for many years. For more precise cleaning, I use RegSeeker - be careful as it is powerful. In Registry cleaning, never overdo - always under-do. When in doubt, do not do anything. I will skip this ScanMy Reg giveaway. Not because it is bad. I have no idea whether it is good or bad because never tried it. I will stick with Wise Registry Cleaner, which has been safe for many years. For more precise cleaning, I use RegSeeker - be careful as it is powerful. In Registry cleaning, never overdo - always under-do. When in doubt, do not do anything. Here is an exert from the official Microsoft article about registry cleaning utilities. See https://support.microsoft.com/en-us/kb/2563254 . Before you modify the registry, make sure you back it up, create a restore point, and make sure that you understand how to restore the registry if a problem occurs. Here is an exert from the official Microsoft article about registry cleaning utilities. See https://support.microsoft.com/en-us/kb/2563254 . A damaged Windows registry can exhibit a range of symptoms including excessive CPU utilization, longer startup and shutdown times, poor application functionality or random crashes or hangs. These random crashes and hangs can ultimately lead to data loss due to the systems inability to save data back to the storage location during the occurrence. Microsoft does not support the use of registry cleaners. Some programs available for free on the internet might contain spyware, adware, or viruses. If you decide to install a registry cleaning utility, be sure to research the product and only download and install programs from publishers that you trust. For more information, see when to trust a software publisher. Microsoft is not responsible for issues caused by using a registry cleaning utility. We strongly recommend that you only change values in the registry that you understand or have been instructed to change by a source you trust, and that you back up the registry before making any changes. Microsoft cannot guarantee that problems resulting from the use of a registry cleaning utility can be solved. Issues caused by these utilities may not be repairable and lost data may not be recoverable. Before you modify the registry, make sure you back it up, create a restore point, and make sure that you understand how to restore the registry if a problem occurs. Had to go to their site to install as all that I got to install from your download link was Software Informer. Don't know why but when I did get it downloaded and installed, your activation info worked. Always remember. Use the backup tools that come with it before you do anything. Never use if you're afraid to work with the registry. Registry issues can slow your computer down or even cause major issues. However, advice given here not to mess with your registry should be heeded as sound advice in a being forewarned way. Most registry problems will be ignored but if you do have a crash after using this, it's likely you had a major issue and trying to fix it is what caused the crash... thus, the reason to backup the registry as sometimes reinstalling the backup itself fixes the registry problem. Just did my first run, removed over 400 errors and there is a noticeable speed increase. Trick here is I won't do this but once every few months. I also use CCleaner but also only rarely as using these things rarely decreases the chances of a mess. I have been using this program for several months. I use the program to completely remove a program from my computer. I have several programs that say that they scan my computer for left over registery entries after I have uninstalled a program. When "I scan" my computer for left-over registry entries I know that that task has been done. Scary! Registry optimisers are, for the most part, too aggressive. You run it and let it clean out all the stuff it says is obsolete, etc. It makes you feel better (wow - i tuned up the registry, now my computer will run better/faster!). This feeling lingers for a few hours or days .... until you start noticing that something, some app or process, that used to run perfectly well now suddenly has a problem or it refuses to run at all. Then another app, and another. Going all the way back to Windows 98SE, Windows 2000, Windows ME and Windows 7 64-bit we have tried a variety of Registry cleaners.While the results were mixed they all messed up something which worked OK before cleanup/tuning/optimization - whatever you want to call it. Yes, we were sensible enough to make backups before using the various Registry cleaners so we could compare afterwards, and restore when necessary. THE ONLY EXCEPTION IS - YOU GUESSED IT - CCLEANER. I'm not saying CCleaner is the only safe Registry cleaner, but I am saying it has worked trouble-free for us on 3 or 4 home PCs over the years. It DOES prompt you to save a backup copy of the Registry each time you run it, and it DOES remove obsolete entries. It does so without being over-aggressive and messing up your system. Scary! Registry optimisers are, for the most part, too aggressive. You run it and let it clean out all the stuff it says is obsolete, etc. It makes you feel better (wow - i tuned up the registry, now my computer will run better/faster!). This feeling lingers for a few hours or days .... until you start noticing that something, some app or process, that used to run perfectly well now suddenly has a problem or it refuses to run at all. Then another app, and another. Going all the way back to Windows 98SE, Windows 2000, Windows ME and Windows 7 64-bit we have tried a variety of Registry cleaners.While the results were mixed they all messed up something which worked OK before cleanup/tuning/optimization - whatever you want to call it. Yes, we were sensible enough to make backups before using the various Registry cleaners so we could compare afterwards, and restore when necessary. THE ONLY EXCEPTION IS - YOU GUESSED IT - CCLEANER. I'm not saying CCleaner is the only safe Registry cleaner, but I am saying it has worked trouble-free for us on 3 or 4 home PCs over the years. It DOES prompt you to save a backup copy of the Registry each time you run it, and it DOES remove obsolete entries. It does so without being over-aggressive and messing up your system. I can't fix using this program, it keep on asking me to register! was this giveaway registration key fake? why was is it put there if I keep on being asked to register to fix!!!!!? I can't fix using this program, it keep on asking me to register! was this giveaway registration key fake? why was is it put there if I keep on being asked to register to fix!!!!!? I guess before I write a single word I should try "ScanMyReg", but based on the comments I've read so far I don't think I will. I've seen CCleaner mentioned; I only use CCleaner to keep my browser history clean; it does a good job of that. For registry I use a few different products, not just one; "Registrar Registry Manager", "Auslogics Registry Cleaner", and "Evidence Eliminator (EE)" (when I finally upgrade to Windows 7 64 bit, I will have to find something else to do all the things "EE" does. Specifically, as far as registry is concerned, I use "EE" to defrag aka compact the registry. I've mentioned this before; "EE" will only operate on a 32 bit Windows OS; Robin Hood Software abandoned the development of "EE" over 10 years ago, anyone is free to correct me if I'm wrong and so "EE" was never made compatible on a 64 bit system. "Auslogics Registry Cleaner (ARC)" let's start off, for those that don't know, by letting you know that "ARC" is FREE; http://www.softpedia.com/get/Tweak/Registry-Tweak/Auslogics-Registry-Cleaner.shtml. I don't use it on a regular basis based on the theory of "If It Ain't Broke Don't Fix It"; I only use it after I've Uninstalled a lot of programs and then I check every single entry, one by one, and most often I get either "invalid entry" or "entry doesn't exist" or something like that. I have used "Auslogics Registry Defrag", on ocassion; it's also FREE and I might add that "Auslogics Disk Defrag" is also a decent program,as well, and also FREE. I have to agree with the comments below; if you don't know what the registry is or how to navigate it then don't mess with it. I've made every mistake that can possibly be made concerning the registry including making an installed OS invalid/non operational. So if you don't know what you're doing in the registry then don't mess with it. And even as experienced as I am with the Registry, at the same time it's still like a dark dungeon I don't enjoy being in. I guess before I write a single word I should try "ScanMyReg", but based on the comments I've read so far I don't think I will. I've seen CCleaner mentioned; I only use CCleaner to keep my browser history clean; it does a good job of that. For registry I use a few different products, not just one; "Registrar Registry Manager", "Auslogics Registry Cleaner", and "Evidence Eliminator (EE)" (when I finally upgrade to Windows 7 64 bit, I will have to find something else to do all the things "EE" does. Specifically, as far as registry is concerned, I use "EE" to defrag aka compact the registry. I've mentioned this before; "EE" will only operate on a 32 bit Windows OS; Robin Hood Software abandoned the development of "EE" over 10 years ago, anyone is free to correct me if I'm wrong and so "EE" was never made compatible on a 64 bit system. "Auslogics Registry Cleaner (ARC)" let's start off, for those that don't know, by letting you know that "ARC" is FREE; http://www.softpedia.com/get/Tweak/Registry-Tweak/Auslogics-Registry-Cleaner.shtml. I don't use it on a regular basis based on the theory of "If It Ain't Broke Don't Fix It"; I only use it after I've Uninstalled a lot of programs and then I check every single entry, one by one, and most often I get either "invalid entry" or "entry doesn't exist" or something like that. I have used "Auslogics Registry Defrag", on ocassion; it's also FREE and I might add that "Auslogics Disk Defrag" is also a decent program,as well, and also FREE. I have to agree with the comments below; if you don't know what the registry is or how to navigate it then don't mess with it. I've made every mistake that can possibly be made concerning the registry including making an installed OS invalid/non operational. So if you don't know what you're doing in the registry then don't mess with it. And even as experienced as I am with the Registry, at the same time it's still like a dark dungeon I don't enjoy being in. What every user should do is to look in EVENTVIEWER and see about errors there and then try to fix them. Even if Your Windows starts with many errors Windows won't give You maximum performance. Look for the error code and then search online how to fix it. AthTek registry cleaner works much more effectively. Try JetClean free version also. - GOTD page in browser "ScanMyReg 2.2 activated — what next?" A "registry" optimizer, That's the fastest way to really destroy your operating system there is. Without physically using a sledge hammer or flame thrower I can't think of a faster way... It's already as streamlined as it can be yet this program claims it's going to streamline it to make it faster. By deleting stuff it decides what you need and don't need. There's so many things wrong with that it's scary. I couldn't use this type of programs to fix my problems. Maybe better advice would be to never touch a computer unless you are competent to do so. XP-Man, That's a bit harsh, however, Agreed! This kind of software will always find tons of errors even on a clean Windows installation, or on a new device with per-installed Windows that you bought. If your system is working fine, you can add everything it finds at first to exclusions, unless you think you really need to remove that, the problem with exclusion list is that you can't add all items it finds at once, you have to add them one by one, and this can take a lot of time. Can't even change its skin without restarting. Can't maximize/resize its window, hard to see results. I'm already using Wise 365 which does this, plus I'm capable of removing entries manually that I recognize as uninstalled programs from some time back. My only other comment is about companies, I think they leave these traces in some cases to "know" if a user has had their programs before, and in other cases, just sloppy programming. Therese, Don't forget that some entries for programs aren't 'leftovers' they are put there by microsoft for compatibility reasons. If they are deleted, those programs (or windows) may not work properly if they are ever installed for any reason if those regkeys are removed. Registry cleaning is not about error correction, you can't really fix any system errors with it. All those "invalid" entries are just left over entries, and while system may spend some time parsing through them, in 99% of cases it can't cause any issues, system performance impact is insignificant also, because system only interacts with entries that it needs. You can clean your tracks by removing some paths related entries, but that's it. of problems for me,makes CCleaner look like the toy it is!! Better,Faster,More Thorough!! Mike, you should continue using it, don't ever stop. Must be good because it has been kept such a secret for so long (Back to XP days) that it is hardly mentioned. Google ScanMyReg and then cCleaner (Formally Crap Cleaner) and compare results. THAT should tell you enough. To achieve a quicker computer simply empty Browsing history, Cookies and Recycle bin on a regular basis. Thats all most of you will need. Mike, Must be good because it has been kept such a secret for so long (Back to XP days) that it is hardly mentioned. Google ScanMyReg and then cCleaner (Formally Crap Cleaner) and compare results. THAT should tell you enough. To achieve a quicker computer simply empty Browsing history, Cookies and Recycle bin on a regular basis. Thats all most of you will need. Terry E, nobody kept it a secret. Their free WinUtilites have the same registry cleaner. Download link doesn't work - 404 Oooops! Sorry, the page you're looking for isn't here. Maybe you've clicked on an obsolete link or mistyped the URL, or maybe it's just us. Don't fret! Just go to our home page and proceed from there. Ted Larsen, Have you tried another browser, Ted ? Good luck anyway. Placebo effect can do its job here, after cleaning thousands of registry entries, a user might be fooled into thinking that, wow, my system is going to be faster now, i can feel it, this software removed so many invalid entries, it's so much cleaner, all my errors are gone, my startup time has been decreased by 10 minutes, and i can play high-end video games on my 2008 hardware, running Windows xp, yeah, yeah, sure. Placebo effect can do its job here, after cleaning thousands of <invalid> registry entries, a user might be fooled into thinking that, wow, my system is going to be faster now, i can feel it, this software removed so many invalid entries, it's so much cleaner, all my errors are gone, my startup time has been decreased by 10 minutes, and i can play high-end video games on my 2008 hardware, running Windows xp, yeah, yeah, sure. Windows 2000/ XP users may potentially find some use for this but any OS that came afterwards will not benefit at all unless you are in a position to know what a registry entry deletion will do to resolve an issue. YL Computing is probably the only Chinese software company that doesn't update anything, no new features, no fixes, no improvements. CCleaner will beat it, no doubt, no, iObit will! Once upon a time, snake oil used to come in bottles. The fact that it's now 2017 and bottles are no longer in fashion doesn't mean that the stuff is no longer produced -- nor that despite any seller's good intentions, it won't prove venomous in use. This is the same version that was a Giveaway in 2014, so none of the long list of issues that were reported then have been fixed. CCleaner is the only program I trust when it comes to cleaning out my registery. Mechanic, Well consider me an Expert. It also removed several 1000 expirered registery entries. After returning the laptop to my dad, he was very thankful and even said it works so much faster. Which it does. If I find it also helps to secure your system that little bit more than normal too. Thanks for the nice reply. Hope you have a good year. Richard Sebire, Happy New Year to you my friend. You'll probably find that the smoother running of the laptop was down to you having removed junk files and cookies more than anything else, cleaning the registry will not have contributed very much (if at all) to improving the speed. Microsoft allows top any garbage to be written to the registry, therefore, you cannot state that "invalid entries are ignored" for the simple reason Microsoft gave no tools to query the registry. Mechanic, Microsoft allows top any garbage to be written to the registry, therefore, you cannot state that "invalid entries are ignored" for the simple reason Microsoft gave no tools to query the registry. Problem with registration! Any ideas how to fix it? Was utterly amazed at the price of a one trick pony that could potentially destroy your computer. In the past when I had a USB modem I found that Wise Registry cleaner was really useful, plus it was utterly safe. Cleaning up the MRU would improve the download speed dramatically, absolutely no idea why but it's a fact. When I see such a silly price for this type of program I'm inclined to think that the developers are trying to con the gullible out of their money, occurring far too regularly in PC software these days. Avoid it like the plague and if you are going to mess with your registry do it with an established registry cleaner such as Wise. Was utterly amazed at the price of a one trick pony that could potentially destroy your computer. In the past when I had a USB modem I found that Wise Registry cleaner was really useful, plus it was utterly safe. Cleaning up the MRU would improve the download speed dramatically, absolutely no idea why but it's a fact. When I see such a silly price for this type of program I'm inclined to think that the developers are trying to con the gullible out of their money, occurring far too regularly in PC software these days. Avoid it like the plague and if you are going to mess with your registry do it with an established registry cleaner such as Wise. Hm... It worked for me. My comp was slow (i havent reinstalled Win7 for 5 or 6 years). I just made a scan and merely clicked "remove everything" (bout 340 items) and folders and files again opene as quickly as with new system. Nice. Cleaning registry is not for everyone, however, modern system can take more registry cleaners "mistakes", you could have done more harm to Windows XP with this utilities than you can now to Windows 7-10. Still some registry areas are better left untouched, regardless of system. AS for this YL Computing, i've got a feeling that their software in the stagnation. I used to like their free WinUtilities, back in 2009, but as the time went on, i didn't see any changes in the product, except its skin, and build number, i had tried WinUnitiles a few weeks ago, and i didn't notice any changes at all, the same slow disk space analyzer, the same invalid shortcuts fixer marking valid shortcuts as invalid, the same set of tools, nothing new at all, nothing for Windows 10. So I'd better of using something from Wise Cleanrer or IObit, although i'm not a fan of them either, iObit especially. Cleaning registry is not for everyone, however, modern system can take more registry cleaners "mistakes", you could have done more harm to Windows XP with this utilities than you can now to Windows 7-10. Still some registry areas are better left untouched, regardless of system. AS for this YL Computing, i've got a feeling that their software in the stagnation. I used to like their free WinUtilities, back in 2009, but as the time went on, i didn't see any changes in the product, except its skin, and build number, i had tried WinUnitiles a few weeks ago, and i didn't notice any changes at all, the same slow disk space analyzer, the same invalid shortcuts fixer marking valid shortcuts as invalid, the same set of tools, nothing new at all, nothing for Windows 10. So I'd better of using something from Wise Cleanrer or IObit, although i'm not a fan of them either, iObit especially. OOOOOH!! A registry-fiddling program. Over the past number of years, one thing I have learned from the comments left by many VERY learned individuals who frequent this site is to LEAVE YOUR REGISTRY ALONE! Leave it to a professional who KNOWS what he/she is doing and not some software program. Thanks YL Computing, not for me today. Hughjocapivvy, Well said. I've had many a disaster, and crying tears on my pillow with these type of programs! I had the same reaction, RUN AWAY! Hughjocapivvy, Well said. I've had many a disaster, and crying tears on my pillow with these type of programs! I had the same reaction, RUN AWAY! Not possible to download. Every attempt ends with this: Oooops! Sorry, the page you're looking for isn't here. Maybe you've clicked on an obsolete link or mistyped the URL, or maybe it's just us. Don't fret! Just go to our home page and proceed from there.